At JCM we are excited to be working with a brilliant new benchmarking project for arable farmers. Led by Eric Anderson of Scottish Agronomy, 4Sight Farming looks at the costs of producing a crop from field up and in much greater detail – not just the obvious inputs, or looking at the accounts at the end of the year and working backwards, but logging machinery and labour use as well to give farm businesses a more accurate analysis of actual costs per crop. 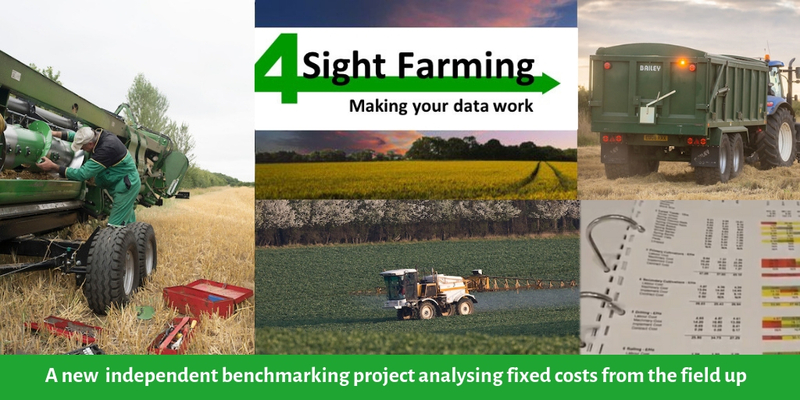 4sight Farming, a benchmarking group formed by an independent agronomist for farmers, analyses detailed machinery and labour costs alongside variable inputs to give farming businesses a greater understanding of true costs per crop. The year-long pilot project, which has been fully funded by the Scottish Government and the European Union through the SRDP Knowledge Transfer and Innovation Fund, will combine the findings of the data with lean management tools to help maximise the margins of 25 arable farming businesses in central and North-East Scotland. As well as analysis of the data they gather, all 25 farmers involved will benefit from workshops on lean management, financial planning and data protection workshops from SAOS, EQ and management consultants Urban Foresight.